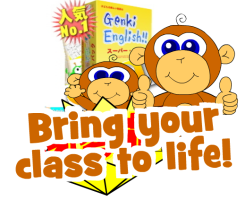 Genki English – Hints & ideas for teaching English in a fun, exciting & genki way. If you need an instant boost of energy in your English lessons right now, then this is the program for you! Researched by Harvard University Graduate School of Education & The University of Oxford Department of Education. Licensed by the British Council around the world. 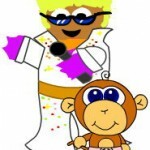 Engage your students in the energetic, “Genki” world of songs, games and exciting lessons. Have all your students, and their parents, learning more than you could imagine and begging you for more. Cut discipline problems and get your kids’ attention – and keep it! Guaranteed! If you’re not ready for the Teacher’s Set yet then sign up to my FREE email course to get all my best teaching tricks, tips and advice! + As seen on TV in India, Canada, Thailand, Malaysia, Singapore, the UK, USA and UAE. And used to teach millions of students in almost every country.. The core of Genki English. 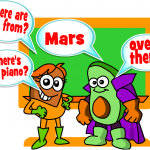 Over 120 lesson plans to get your kids speaking English with superhero confidence! No more forgetting everything. With these songs the kids remember what you teach! Try the FREE DEMO ESL song or the Teacher’s Set! Phonics sounds tricky, but it’s very simple. It’s the easiest way to teach reading. 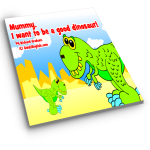 Try the talking phonics page. 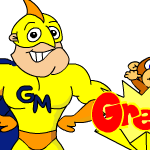 Plus online phonics games and phonics worksheets. Several of the lessons also have fun and funky original picture books with narrations and pdf downloads! Help & How to …? 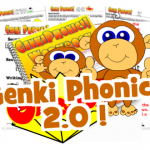 All the help, advice and training you need to get started with Genki English! Online Videos, Teaching Guidelines, Email Exchanges, Lesson Plans, Classroom English, and lots more! If you’re not ready for the Teacher’s Set yet then be sure to sign up to my FREE email course to get all my best teaching tricks, tips and advice!